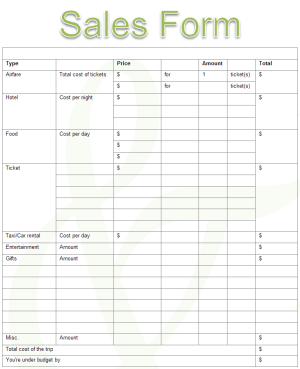 Creating sales form with free templates and examples. Sales form has never been easier. 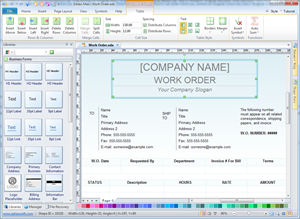 Sales diagrams contain special shapes for creating sales order, company paper, order statement and budget, etc. For example, sales order diagram enables your firm to deploy electronic sales order processing and quickly automate the sales order fulfillment process, reduce costs and eliminate both re-keying errors and time wasted in completing data entry. A competitive analysis diagram is a critical part of company's marketing plan and it establishes what makes the product or service unique in order to attract your target market. Sales diagrams display the date more vividly and effectively than words alone. Sales diagrams make it possible to replace boring text bullets with powerful graphics of all kinds for more engaging and memorable presentations. With sales diagrams you plan and create your presentation visually in a storyboard format. Wouldn't it be great to be able to receive sales orders in any document format and automatically load the data into your sales order processing system? When you're ready, our software builds your entire PowerPoint/word/excel/PDF deck for you automatically. You simply get professional graphics and a great visual presentation without ever having to even open these Microsoft applications. With Edraw Sales template, you can easily create professional-quality sales forms including Billing Statement, Competitive Analysis, Packing Slip, Work Order, Personal Budget, and Target Trip Budget. Each type has an example for you to learn, you can also edit your data upon the examples to make it fast. It has a large collection of pre-drawn shapes and symbols, allowing you to drag and drop any shape you want. The interface is straightforward and the tools are easy to use. You will can finish a sales form in just minutes. You can get a professional sales form template right here. Use it to advance your designs without hassle.